Vermont. Frequently known on the Appalachian Trail as “Vermud.” Both the Long Trail, which runs 272 miles from Massachusetts to Canada, and the Appalachian Trail, which runs on the Long Trail for 105 miles and then turns east to New Hampshire for another 45 miles, are known to have muddy sections all year long. But there is a special time of year in New England when those trails are especially wet: mud season. If you’re not from New England, you may not have heard of this exciting fifth season. 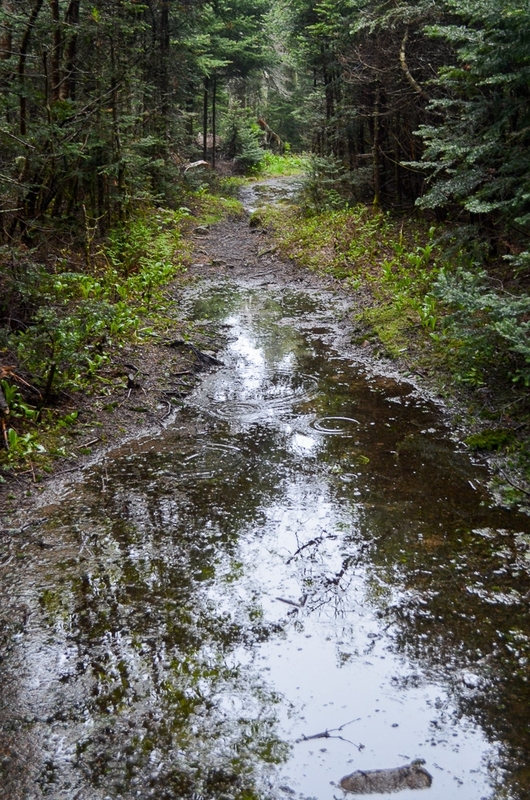 Mud season is the very real time between winter and spring, when the snow starts melting, the spring rains start, and our beloved trails turn into giant, fragile puddles. Let’s get into the mechanics of muddy trails. It snows a lot in Vermont in the winter. You’re surprised, right? This year the snowpack has been especially deep. Spring technically started on March 20. 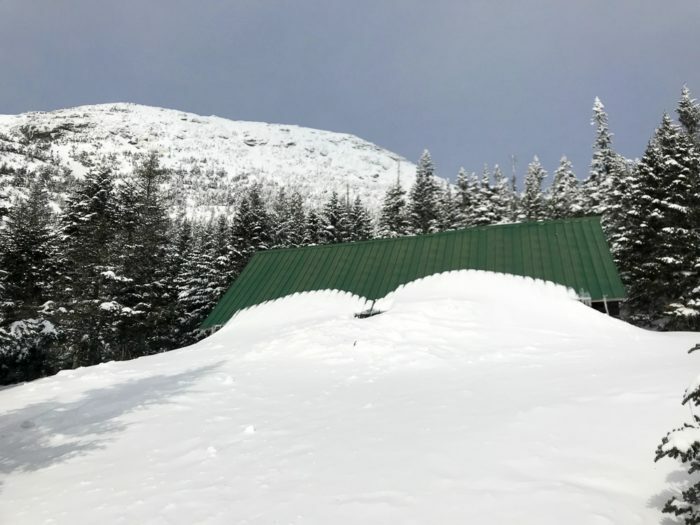 Our first (note: “first”) spring snowstorm was March 22 and 23, leaving a snow depth of 124 inches on Mount Mansfield, the second highest daily depth for that date since recordkeeping began in 1954. That’s over ten feet of snow, which is crazy, even if it is Vermont highest peak! And let’s not forget how we started out this winter season: with the snowiest November on record in Vermont. While climate change causes multiple freeze/thaw cycles to happen all winter long these days, we generally don’t get back down to bare ground at any point during the winter. All that snow adds up, whether or not some of it melts a little here and there. So we’re starting out with lots of snow in March (again, technically spring). Despite the ongoing snowstorms, the temperatures are starting to rise and the snowpack is starting to shrink a little bit at a time. Then, what’s that saying? “April showers…”? Yup, the rain comes next. Melting snow, excessive rain, and the ground can only hold so much water. Trails that are oversaturated are vulnerable to damage from soil compaction and erosion with every footstep. Soil compaction degrades the quality of the trail by reducing its ability to absorb water over time, causing increased flooding later and making it harder for vegetation to grow. Erosion then carries the soil away, leaving rocks and roots exposed. Ever wondered why a lot of New England trails are especially rocky and full of roots? Here’s part of your answer. What all this leads to during mud season are mud puddles consuming the trail and its surroundings. What’s a hiker to do? 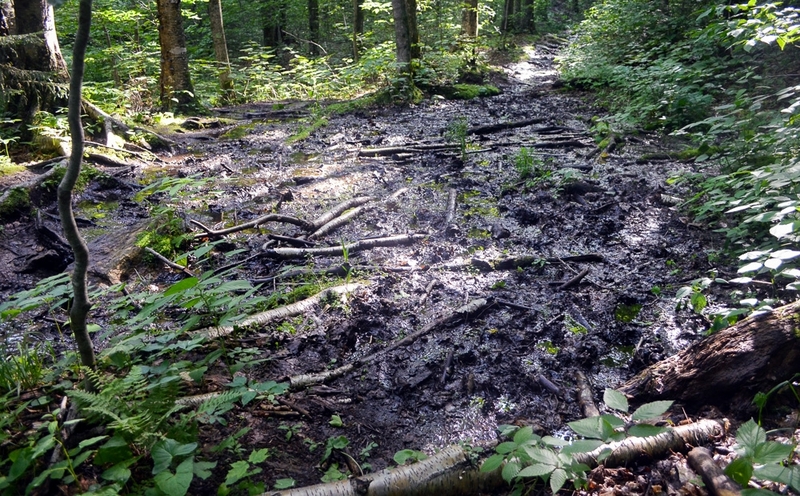 Many hikers are tempted to just walk around that mud puddle blocking the trail. Please don’t. 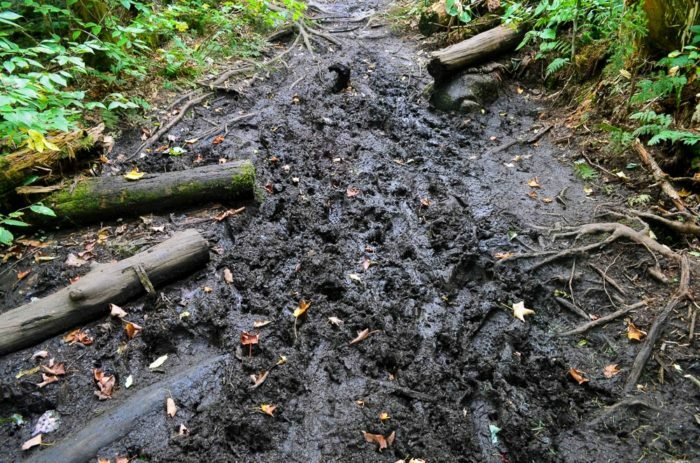 While walking around muddy areas will keep you dry and clean-ish, walking on the edges of trails tramples vegetation, widens the trail, and causes more damage to both trail and environment. This is especially important in the alpine zone, which already has very fragile (and rare!) vegetation. One of the seven principles of Leave No Trace outdoor ethics is to only travel on durable surfaces. Rock is durable. Hard, dry soil is durable. Mud is not durable. If it absolutely can’t be avoided, LNT instructs hikers to walk right through the mud to avoid widening the trail or trampling vegetation. While that is appropriate in one-off puddle situations, it’s just too much damage when the trail is mostly, if not entirely, a puddle. And remember, it’s not just you out there. You might think, “What’s the big deal? I’m only one person and I won’t do any noticeable harm.” But what happens when the next 100 hikers behind you think the exact same thing? Major damage occurs that can take years, if not longer, to repair. Who cares? How does this affect my hike? Maybe you are a Long Trail hiker eager for spring, which means warm weather and sunshine to you. I hate to burst your bubble, but spring as it’s generally thought of doesn’t really happen in Vermont until later in May. Maybe you are a northbound Appalachian Trail hiker who started early or a flip-flopper trying to spread out use of that busy trail. I commend you for taking steps to do the right thing, but know that hiking in Vermont in April or early May is generally not the right thing. While the majority of the Appalachian Trail in Vermont is in the Green Mountain National Forest and they don’t technically close trails during mud season, they do ask that people hike responsibly and avoid muddy trails. The state of Vermont, on the other hand, does close trails during mud season. About three miles of the Long Trail/Appalachian Trail over Killington Peak usually get closed due to poor conditions. Farther north on the Long Trail, notable high peaks on state land that get closed are Camel’s Hump and Mount Mansfield. The state updates its website throughout the season to note which trails have closed and which trails have dried out and are ready for use. Trails at low elevations and on south-facing slopes tend to dry out earlier in the season. You may be able to get to those earlier in May. But experience has taught us that snow and ice hang on late into May at higher elevations, and even into June on the highest peaks. Unfortunately, if you’re a thru-hiker, you don’t get to cherry pick where the trail goes. 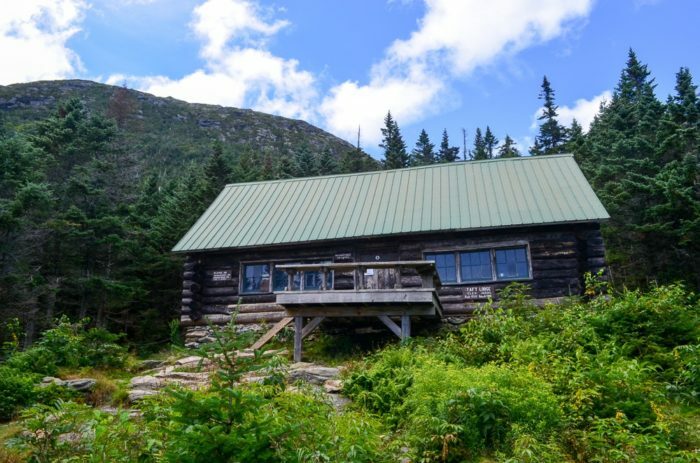 As a thru-hiker myself, I understand that it can be unfathomable to skip a piece of trail or turn around if conditions deteriorate, which is what we at the Green Mountain Club ask hikers to do during mud season. I probably wouldn’t have done either of those things on my AT hike in 2013. 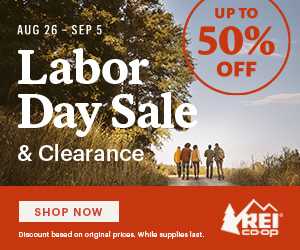 I didn’t know much about Leave No Trace at that point, and I knew absolutely nothing about trail construction and maintenance. Luckily, I was slow and didn’t hit Vermont until the end of August, so I didn’t have to make that decision. Now, as someone who works in an organization taking care of these trails, I know firsthand how much damage that causes and how much work and time it takes to fix. When section hiking the Long Trail over the past couple of years, I took care to plan all my hikes no earlier than Memorial Day weekend. Fine, tell me exactly when mud season is so I can plan my hike. As you may be starting to realize, mud season is a moving target that depends on many factors: how much snow we are starting with in the spring, how much it rains, how quickly the temperatures warm up, what elevation each piece of trail is at, which side of the mountain the trail is on, and so on. However, mud season generally starts at the beginning of April and goes until the end of May. If you are a Long Trail hiker, please don’t start before the Friday of Memorial Day weekend. If you are an Appalachian Trail hiker, please plan your hike so that you don’t arrive in Vermont before the Friday of Memorial Day weekend. Mud season doesn’t just mean mud. It means a lovely mixed bag of mud, snow, and ice. Are you prepared for the winter conditions you may very well encounter at higher elevations in April and May? 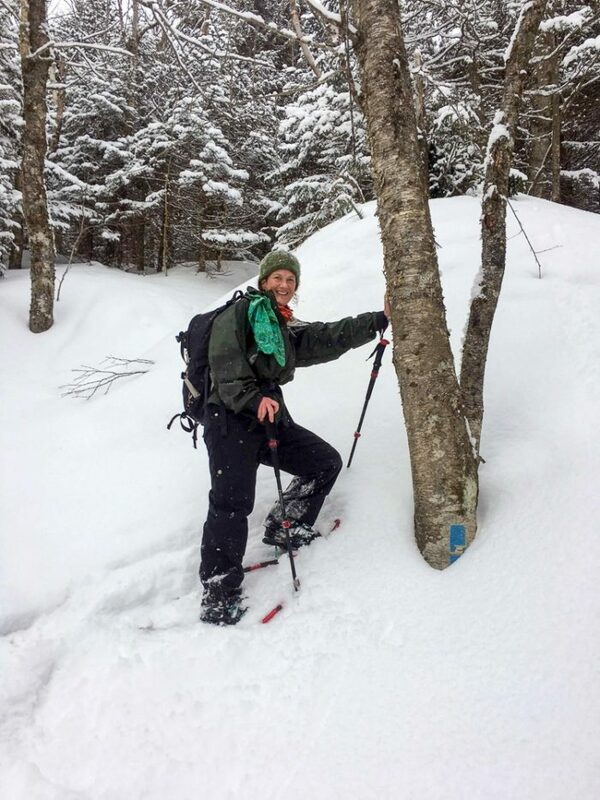 Parts of the trail may still require snowshoes or traction devices to hike safely. The longer the snowpack takes to melt, the later in the season Green Mountain Club volunteers and staff are able to get out and clean up the trail before hiking season begins. Shelters may not have been cleaned, blowdowns from fall and winter storms may still block the trail, water bars may not have been cleared, etc. Streams and rivers tend to flood in the spring, making some water crossings very difficult, if not dangerous. While we have been talking about the spring mud season, please note that there is also a shorter mud season in the fall. Mother Nature has the same tendency to mix up freezing and warm weather on a day-to-day basis as we head into winter as when we are leaving it. Before the ground freezes completely and the snow cover gets thick enough to protect the trail and surrounding vegetation, it’s best to avoid hiking trails in Vermont (generally mid-October to mid-November). Have I turned you off to hiking in Vermont yet? That is certainly not my intention! The mission of the Green Mountain Club is to “make the Vermont mountains play a larger part in the life of the people.” We want you out there enjoying Vermont’s trails and mountains with us. We just need you to take a short break during mud season to help our trails stay in good shape and last for a long time. Thank you for planning your hike after trail conditions have improved and the trails are not as susceptible to damage. 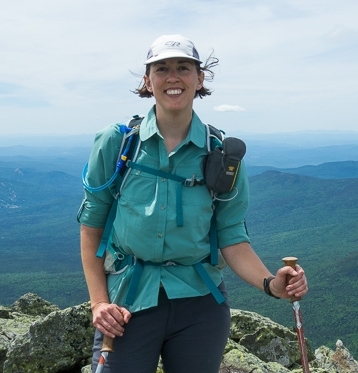 Kristin McLane is the Membership and Communications Coordinator at the Green Mountain Club. She has thru-hiked the Appalachian Trail (2013), John Muir Trail (2015), Pacific Crest Trail (2015), Batona Trail (2016), Monadnock Sunapee Greenway (2017), Cohos Trail (2017), and Northville Placid Trail (2018). She has also section-hiked the Long Trail (2013-2018) and plans to finish her Colorado Trail section hike this summer.